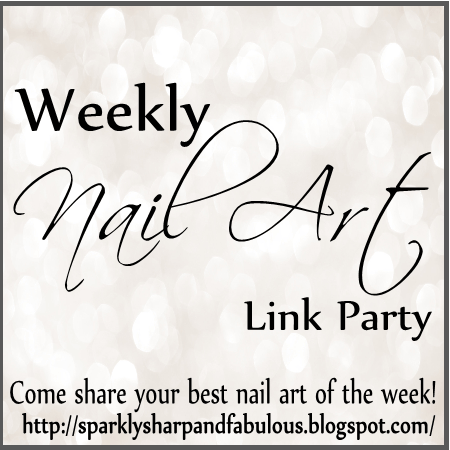 Happy November, and welcome to the 46th “Best Of: Nail Art” link party of 2014! It is my hope that this will be the place you will come to share the posts you are most proud of, and see the creations that other nail artists have shared as well. The rules are pretty simple. 1 look per person per week- NAIL ART ONLY! Want more details about how to share your work? Check out THIS POST or click the first link down below. If you can link to it, you can share it! Want even MORE nail art? If you haven’t heard yet, I’ve just launched a new site: Random Nail Art! It’s 100% nail art, shared by bloggers all over the world. Think of inspiration from Pinterest, with the functionality of StumbleUpon. Better yet, just come check it out! Hi! I´ve just discovered you. All these designs look great!